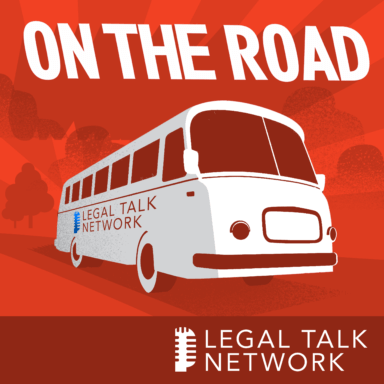 In this Special Report, Peter Carayiannis of Conduit Law, David Sparks of Mac Power Users, Shantelle Argyle of Open Legal Services, and Julie Tolek of Think Pink Law stop by our table to discuss their presentations at the Clio Cloud Conference. During our interview, the conversation migrates from efficiency tools like Slack, Sanebox, and Lexicata to the three P’s of building digital brands—passion, personality, and persuasion. Tune in to hear how much time you should be spending on social media marketing, the importance of providing value in your posts, and why you need to stay on a schedule when you share. Peter Carayiannis is the president and founder of Conduit Law, an alternative model law firm based in Toronto, Canada that serves a wide variety of corporate clients. Since leaving the traditional Big Law environment, Peter has focused on finding more efficient and effective ways of working with his clients. David Sparks is an Orange County, California business attorney and self-proclaimed geek. He is also a podcaster, blogger, and author who writes about finding the best tools, hardware, and workflows for using Apple products to get work done. David writes for Macworld magazine and regularly speaks about technology. Having been a business attorney for over 21 years, David is now challenging himself further by opening a solo law firm. Shantelle Argyle is an attorney and the co-founder and executive director of Open Legal Services, a nonprofit modest means law firm in Utah. Previously, Shantelle worked for several private law firms and as a public defender. She practices criminal and family law, and has worked on cases ranging from child custody to murder. She is passionate about the OLS mission, and will tell anyone she can about the revolution in affordable legal services. Shantelle attended law school at the University of Utah and is admitted to practice law in Utah. Julie Tolek is an attorney, mediator, and founder of Think Pink Law, and of counsel to Skylark Law & Mediation, P.C. Equal parts geek, lawyer, entrepreneur, and marketing maven, Julie provides her clients with convenient access to the law by harnessing technology and keeps things real with a human touch.